The new InRoom Silver Center has a clean look and improved sound quality. A new horizontal array design, optimized for center use, yields a significant increase in sensitivity and power handling. Movie dialog is always clear and intelligible. When paired with the InRoom Silver LCR or Triad’s new InRoom Silver LR-H Dolby Atmos speakers, the InRoom Silver Center channel speaker becomes the heart of a breathtaking theater experience. 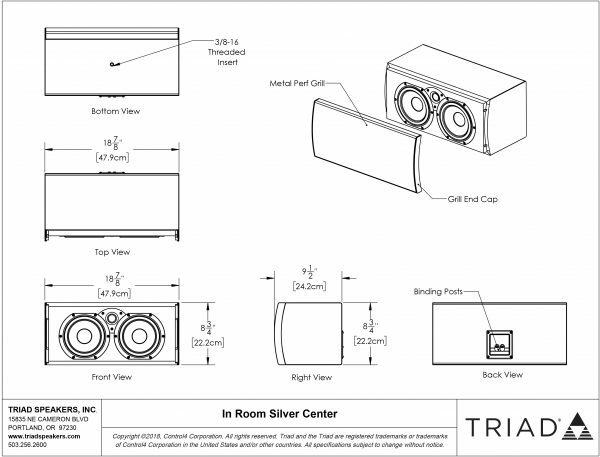 The InRoom Silver Center channel speaker is manufactured in our Portand facility, one at a time, and features premium drivers and an enclosure as solid as a bank vault. An unlimited array of custom veneer finishes and custom paint matching are available to blend with your environment. 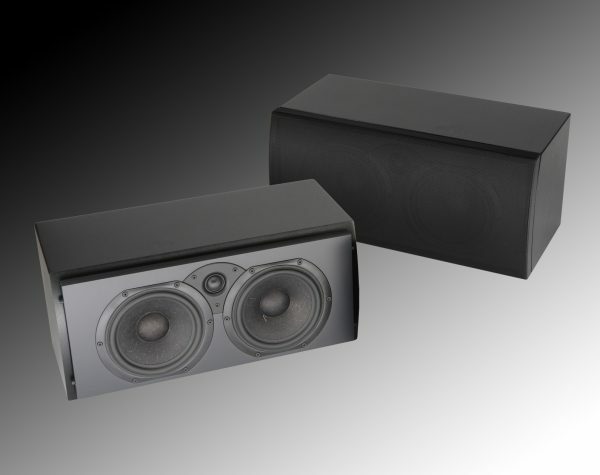 When used with Triad Subs and Triad Surrounds, the result is exceptional performance on both music and movies, whether used with a modest A/V receiver, or premium separate components.